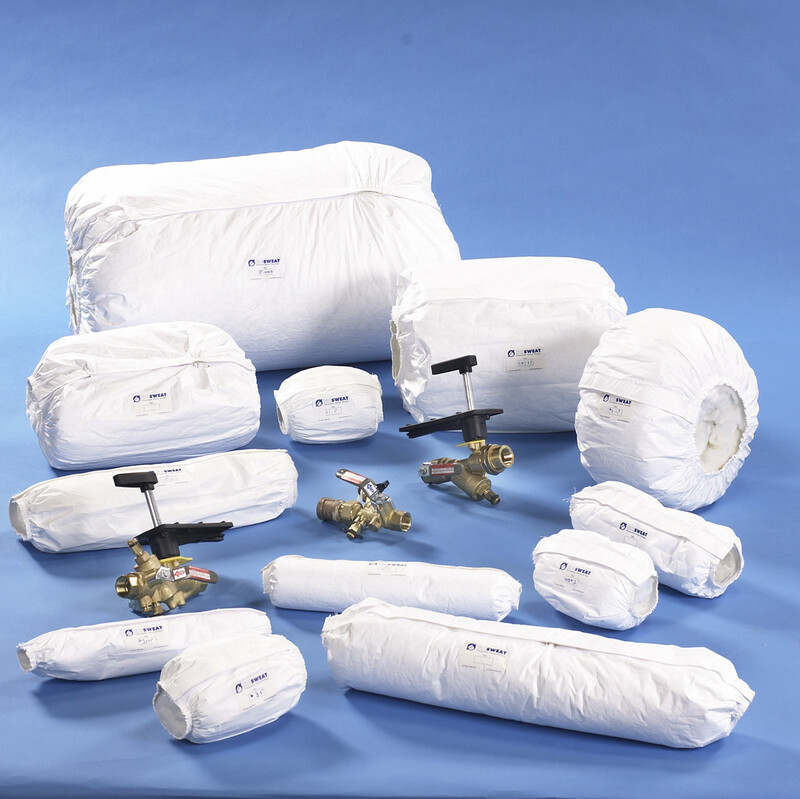 A patented, flexible, insulation system designed for use with pipe insulation to prevent condensation, and combat mold and mildew. Quick and easy to install, and ideal for indoor or outdoor use! 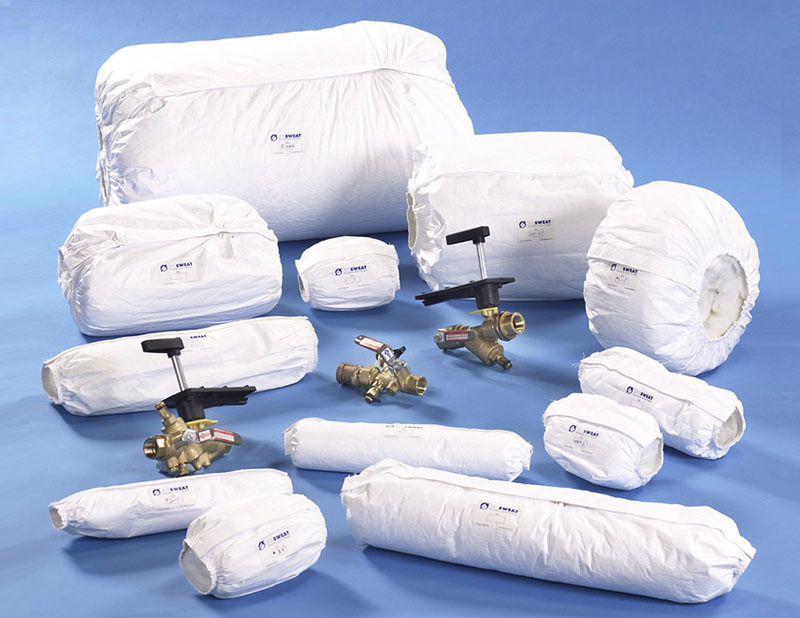 Can be used with domestic water, chilled water, dual temperature, hot water and steam along with other piping systems in commercial, institutional and industrial applications. 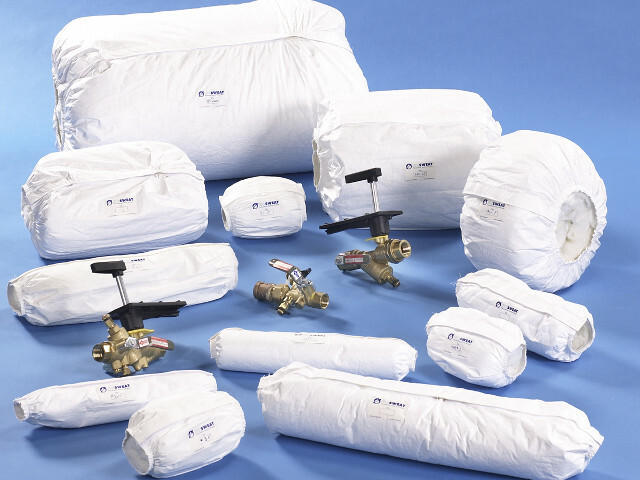 NO SWEAT™ valve wraps can be installed on indoor/outdoor piping systems including chilled water, hot steam, dual temperature and domestic water along with other piping systems in commercial, institutional and industrial applications. Outdoor vertical applications should be sealed on all North Ends by the use of a white matching PVC tape or equal. Selecting the right valve cover is easy! Worry Free Performance! No More Call Backs!